2017 is about to end, and here in Doodle Apps, we look back at what we've achieved so far, and we're so proud to see all the progress we've made during the past months of hard work! ....over 10.000 prey and 1000 logs live have been posted on WS. Largemouth Bass seems to be the most caught fish while Woodpigeons is the most hunted bird.Spinning-Fly Fishing/Stalking-Rough Shooting are the most favourite techniques for fishing and hunting. Well done to everybody and thanks for sharing your adventures with us. We're so excited about all the news that 2018 will bring to our WS Family; new collaborations, projects, partnerships and loads of new tools for WS (of course) will be waiting for us next year....are you ready? We'll introduce new functionalities in January that give you, even more, control of your statistics/progress during the fishing/hunting season...the best is yet to come. to the WS TEAM... you guys rock!We're so grateful for all the support we've received and for the great work you have managed to do for WS....we can't wait to live all the upcoming 2018 adventures together. 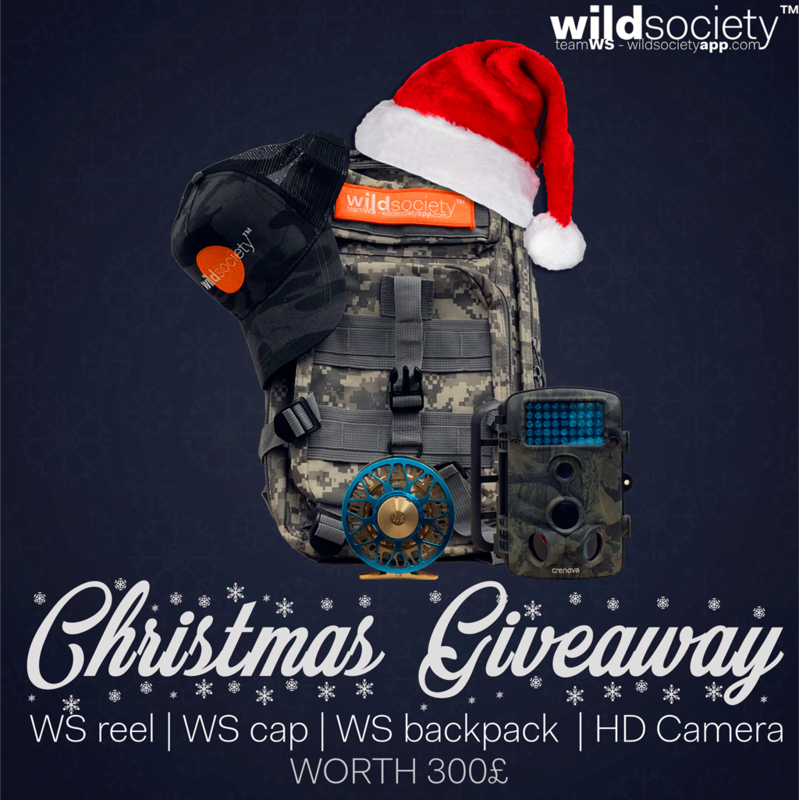 Oh...don't forget to enter the Christmas Giveaway!! Click on the pic!